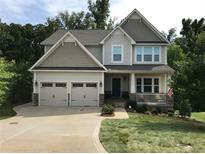 Below you can view all the homes for sale in the Fallbrook subdivision located in Fort Mill South Carolina. Listings in Fallbrook are updated daily from data we receive from the Charlotte multiple listing service. To learn more about any of these homes or to receive custom notifications when a new property is listed for sale in Fallbrook, give us a call at 704-310-5463. Home and property details & features, school assignments to be verified by buyer. MLS#3494841. Keller Williams Fort Mill. This is as close as you can get to having property in the woods w/over 20 acres of community access land directly behind the home featuring your own access to the Carolina Thread Trail. MLS#3492577. I Save Realty.